Avoid These 10 Common Filing Mistakes | NOT IN MY WORLD!!!! It’s time. Your W-2s and 1099s are likely making their way to your mailbox or inbox right now, assuming they haven’t already arrived. As you start filling in your tax forms, be aware that a mistake can cost you valuable time or money. 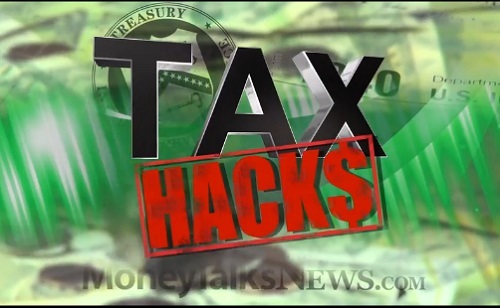 Money Talks News finance expert Stacy Johnson spoke with Tom Sawyer, a CPA with Sawyer & Latimer in Fort Lauderdale, Florida, to uncover some of the most common tax-time mistakes. The first mistake some people make is paying someone else to do their taxes. Depending on your income level, you may have more than one option when it comes to getting free tax prep services. Volunteer Income Tax Assistance: Sponsored by the IRS, VITA offers free tax preparation by trained volunteers. You may be eligible for the VITA program if your income is $53,000 or less, you have a disability, are elderly or have limited English-speaking ability. Tax Counseling for the Elderly: Also sponsored by the IRS, the TCE program is intended for people age 60 and older. Free File: If your income is less than $60,000, you can use an online software program to prepare and file your federal income tax return for free. On its list of common tax mistakes, the IRS puts wrong and missing Social Security numbers at the top. Long gone are the days in which you could claim dependents without a Social Security number. Today, every member of your household listed on your return needs to have one. Make sure to double check all the numbers before submitting your return to ensure there aren’t any transposed or missing digits. Sure, you know what your name is, but maybe you’re typing too quickly and hit a wrong key. Or you could be interrupted while filling out the form and pick back up at the wrong spot. There are plenty of scenarios in which people can, and do, misspell their names on their income tax forms. Those simple errors can lead to rejected returns and delayed refunds. In addition, if you recently married or divorced and haven’t registered a name change with the Social Security Administration, be sure to use your old name. You need the name on your forms to match the name listed in Social Security records. Fortunately, this becomes less of a problem if you use software to prepare and file your taxes. The computer program will do all the calculations on your behalf, which virtually guarantees you’ll get it right. However, the computer program can’t know whether the numbers you’ve entered are correct. Double check everything to be sure your return is completely accurate. It should also go without saying that if you’re doing a paper return, use a calculator and do the math twice to confirm the results. This first is by failing to sign a paper return before mailing it. The second is failing to sign your check if you’re sending in a payment. Either one can result in lengthy delays in processing your return. You can avoid this mistake by filing and signing your return electronically and having tax payments directly withdrawn from your bank account. Saves on postage, too. Most of the mistakes above have the potential to affect how quickly the IRS processes your return and issues your refund. However, they don’t necessarily affect your bottom line. But using the wrong tax form could mean lost dollars. If you use the 1040EZ form, you get the standard deduction. For most people, in 2014, that amount is $6,200 for singles and $12,400 for couples filing jointly. These deductions are subtracted from your income so you don’t have to pay taxes on those amounts. However, if you have a mortgage, home office, significant health care expenses or charitable contributions, you may be better off using a regular 1040 form so you can itemize and get a bigger deduction. Another costly mistake can be selecting the wrong filing status. This mistake may be most common for single parents. For example, unmarried parents who have a qualifying dependent and pay more than half the cost of keeping a home may be able to file as a head of household, a status that boosts their standard deduction by $2,900. In addition, you can be considered “unmarried” so long as your spouse did not live with you for the last six months of the year. Meanwhile, widows and widowers can still use the “married filing jointly” status for the year in which their spouse died. Then, if they have dependent children, they may be able to file as a “qualifying widower with dependent child” for two more years, a status that allows the same standard deduction as those who are married and filing jointly. It’s not enough to simply use the right form and the right filing status. If you want to maximize your refund, you also need to take advantage of every tax deduction and credit available to you. Fortunately, there are plenty of credits and deductions that have the potential to reduce your taxable liability by thousands. Here are a few of the bigger credits and deductions you don’t want to miss. You may want to consult with a tax professional to learn more about whether you qualify. American Opportunity Credit: Available to college students of all ages, this credit is based upon college expenses and can provide up to a $2,500 tax reduction per year for four years. Earned Income Tax Credit: Offered to low-income families, this credit is refundable, and that means the government will send you cash even if you don’t owe any taxes. Sometimes this is overlooked when eligible families have incomes so low they aren’t required to file returns, so they miss out on claiming the credit. That can be a costly mistake because the credit can be up to $6,044 for some families. Child Care Credit: If you pay someone else to watch your children while you work, you may be able to claim a credit on up to $1,000 of your expenses. Most eligible taxpayers will get a credit worth 20 percent of that amount, for a total credit of $200. State Income or Sales Tax: You can deduct any state income tax you pay from your federal return. If your state doesn’t charge an income tax, you can use the amount you paid in state sales tax instead. IRA Contributions: While contributions to Roth IRAs aren’t deductible, you can deduct up to $5,500 if you put that money in a traditional IRA. If you’re age 50 or older, the limit is increased to $6,500. You might also make the mistake of thinking you don’t need to claim income unless you receive a W-2 or 1099 form for your work. In reality, you need to claim all income for the year regardless of whether someone paid you $20 or $2,000 for a side job. Cheating the IRS may seem like a victimless crime, but you could be hurting yourself if you ever are audited. If you insist on being old school and send your return through the mail, you’re making the last mistake on our list. Filing through the mail is a mistake for oh, so many reasons. First up, you greatly increase your chances of making one of the other mistakes listed above. There is less chance of missing Social Security numbers, forgetting to sign and making math errors. In addition, a good software program will help you root out all of those deductions and credits you may otherwise miss. It should also guide you to the right filing status. But more importantly, filing electronically means you could have your refund cash in hand in only a few weeks. In 2014, the IRS processed returns from 27 million taxpayers and deposited $146.3 billion in refunds through direct deposit. If you’re not already e-filing, it’s time to get on this bandwagon. Trust us, it will make tax time a relative breeze.